Well-lit workplaces serve for safety, especially in explosion hazardous gas and dust atmospheres. Explosion-proof lighting imposes high demands on the reliability and durability of the components which are used. Temperature, humidity, mechanical stress and power networks can all have an effect on the lamps. Careful planning can help minimize maintenance costs. The hand and machine lamps for Zones 0, 1, 2, 20, 21 and 22 are small in size and are installed on machines (such as in the printing, process and food industry). They can also be used for long-term maintenance and inspection work, temporary installations in the oil and gas industry, aircraft maintenance, shipyards and tank cleaning. 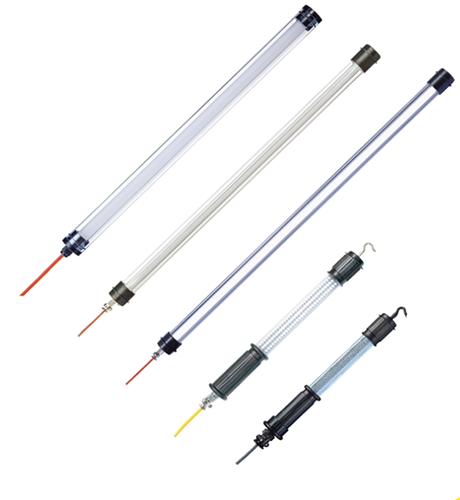 Due to the small dimensions it is also possible to install them in handrails in chemical plants and on offshore platforms. The hand and machine lights can be equipped with LEDs or with fluorescent lamps with electronic ballasts with EOL function. A wide range of linear luminaires for Zones 1, 2, 21 and 22 guarantee easy assembly and installation. Emergency lighting luminaires with intelligent battery technology improve safety in critical situations.